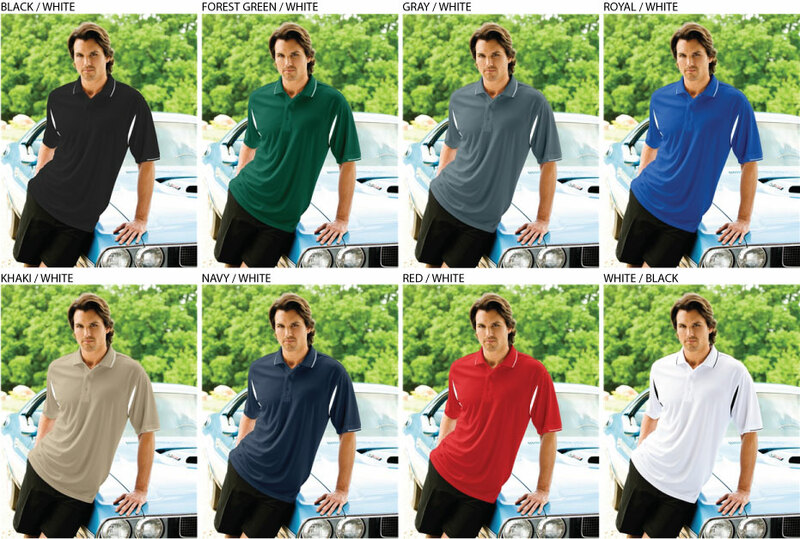 Tri Mountain Big & Tall Moisture Wicking - 118 Action [TM118Action] - $24.50 : Sogowear Outfitters!, Polo Shirts, Golf Shirts, Jackets, Fashion Fleece, Woven Shirts and More! The 118 Action is a 6.5 oz. 100% polyester waffle-knit golf shirt which features the Tri-Mountain UltraCool™ moisture wicking technology that helps you keep moving forward, regardless of the temperature. Accented with contrast underarm panels, collar and half-cuff trim for a sporty look. Three-button placket, half-moon yoke back and square bottom with side vents. The 118 Action is a companion style to the women's new 114 movement.